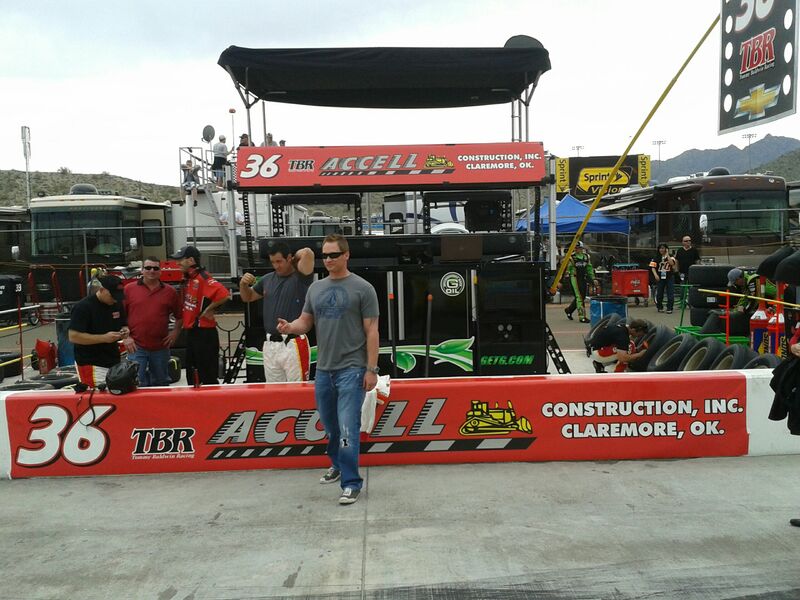 On Friday, Reutimann posted the 40th and 15th fastest times in practice and ran 36 laps. During Saturday’s qualifying session, the Zephyrhills, Fla., native made his best qualifying run this season and posted the 16th fastest qualifying time. The No. 10 Accell Construction Chevrolet started the STP 400 from the outside of row eight. During the first run, Reutimann fell to 23rd and radioed that the TBR Chevrolet was really tight coming off the corner and plowed the nose in the front. 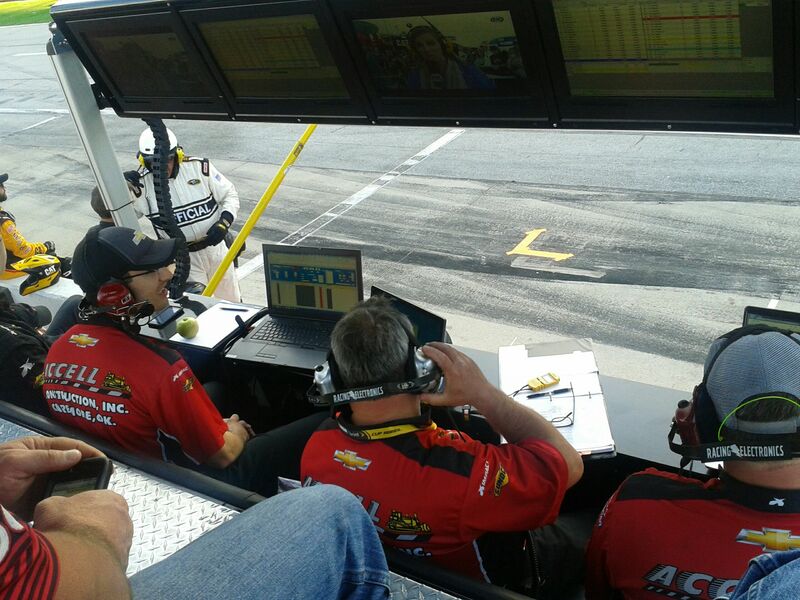 Crew Chief Tommy Baldwin called for Reutimann to make a green-flag pit stop on lap 44. 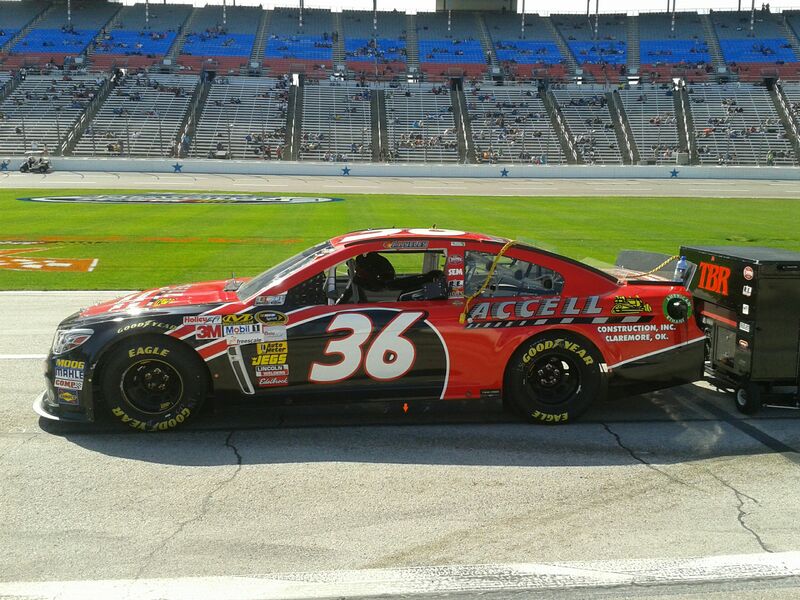 The Accell Construction crew changed four tires and made adjustments to the Chevrolet. Reutimann returned to the track in the 28th spot, one lap down. On lap 53, Clint Bowyer spun in turn four and brought out the first caution of the race. Racing in the lucky dog position, the No. 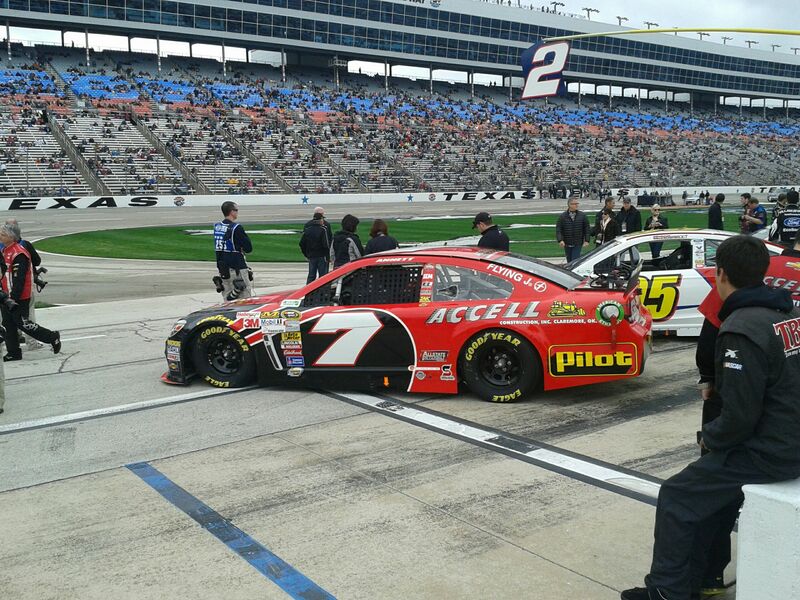 10 Accell Construction Chevrolet returned to the lead lap. 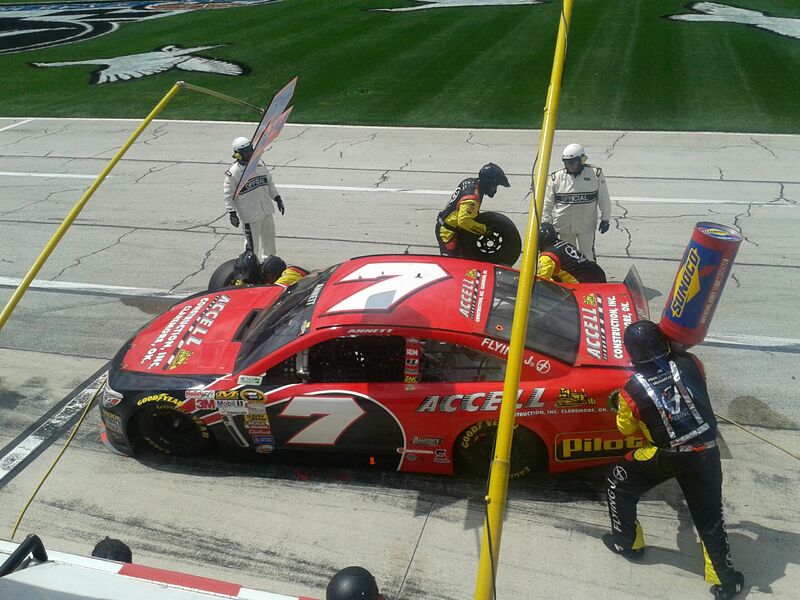 The team elected to pit for four tires and fuel but did not make any adjustments since the handling was better. The field restarted on lap 57 with Reutimann in the 27th position. 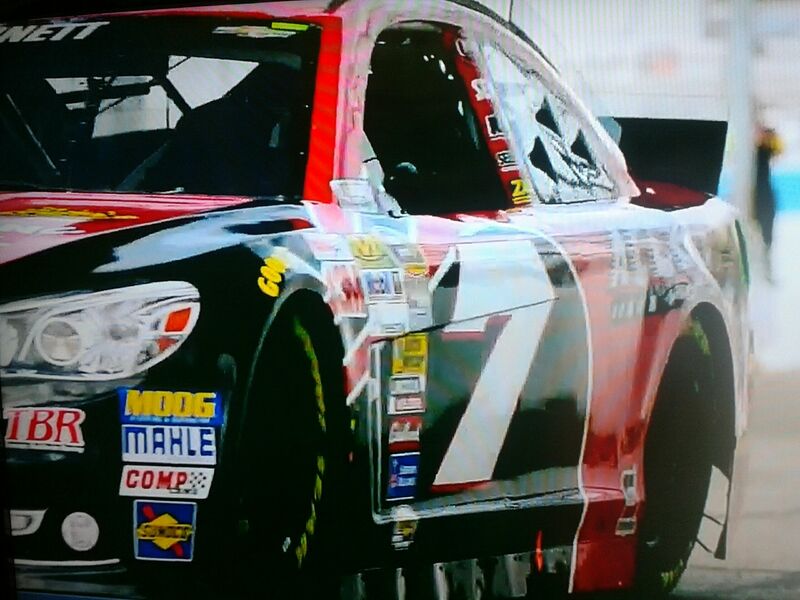 In seven laps, he drove the No. 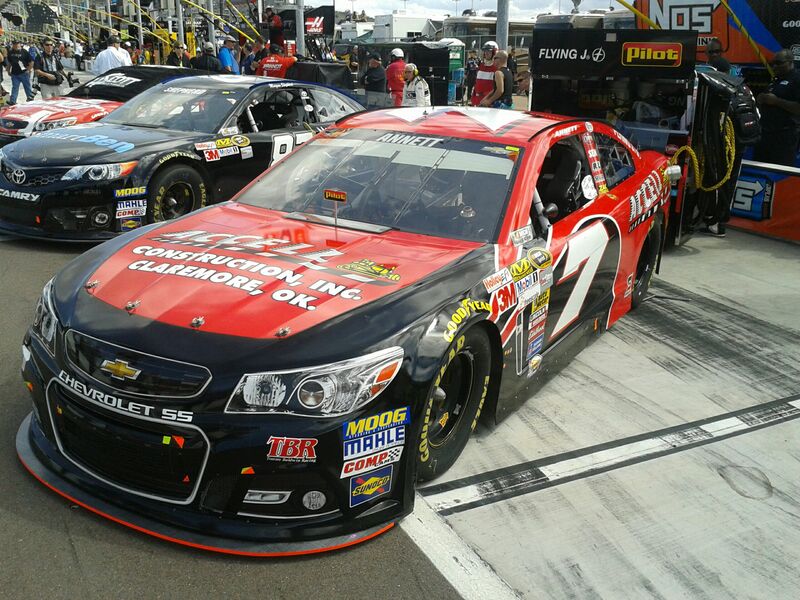 10 Accell Construction Chevrolet into the 25th spot. With green-flag pit stops approaching, the TBR driver radioed that the car was free getting into the corner, the nose slid in the center and a little free off. Baldwin called his driver in for a four-tire pit stop and a small air pressure adjustment on lap 95. 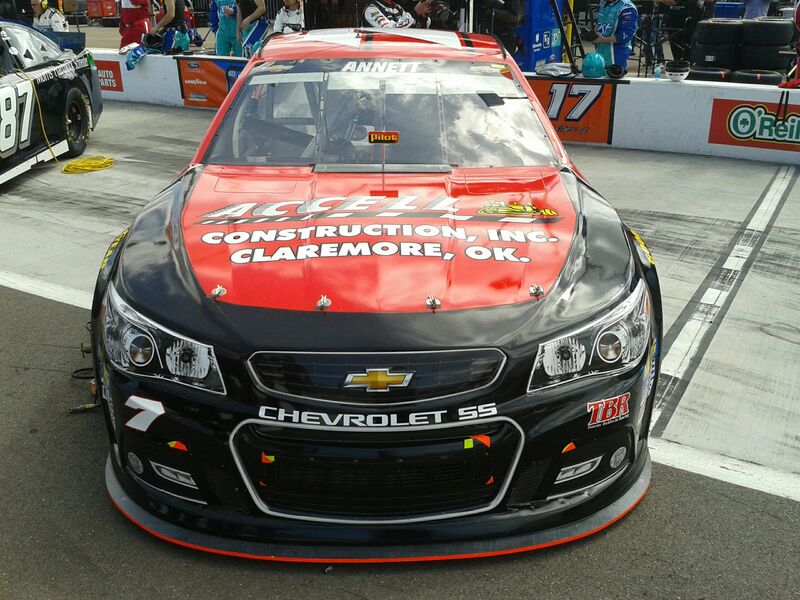 The Accell Construction Chevrolet returned to the 1.5-mile track in the 25th position, one lap down. Reutimann told his crew that the small adjustment loosened the car even more. NASCAR Officials waved the yellow flag on lap 133 for debris. Reutimann made another green-flag pit stop on lap 134 for four tires and fuel and to go back a little on the last adjustment. He restarted 23rd, one lap down. Another long green-flag run forced the team to make another green-flag pit stop on lap 178. As Reutimann pulled onto pit road, he radioed that the car was stuck in fourth gear. After the team made the four-tire stop, they had to push the No. 10 Chevrolet for Reutimann to return to racing. Due to the longer pit stop, the team lost two more laps to the leader. NASCAR Officials called a caution on lap 188 for debris with Reutimann in 27th place, three laps down. Unable to get the wave around, the team elected to pit for four tires, fuel and an adjustment. Reutimann restarted in 30th place, three laps down. Another long green-flag run forced the team to pit under green flag conditions. Pitting with the car stuck in fourth gear, the No. 10 Accell Construction Chevrolet lost two laps getting back up to speed after changing four tires, adding fuel and making adjustments on lap 224. The final 43 laps were run under green flag conditions, and Reutimann finished in the 29th position, five laps down. The No. 10 team is now 34th in NSCS Owner Points. The team is ahead of the No. 83 by eight points and behind No. 36 TBR Chevrolet by two points. The No. 10 is locked into the top-35 by 19 points. Reutimann is in the 31st position in NSCS Driver Points. He is three points behind David Ragan and two points ahead of Dave Blaney. 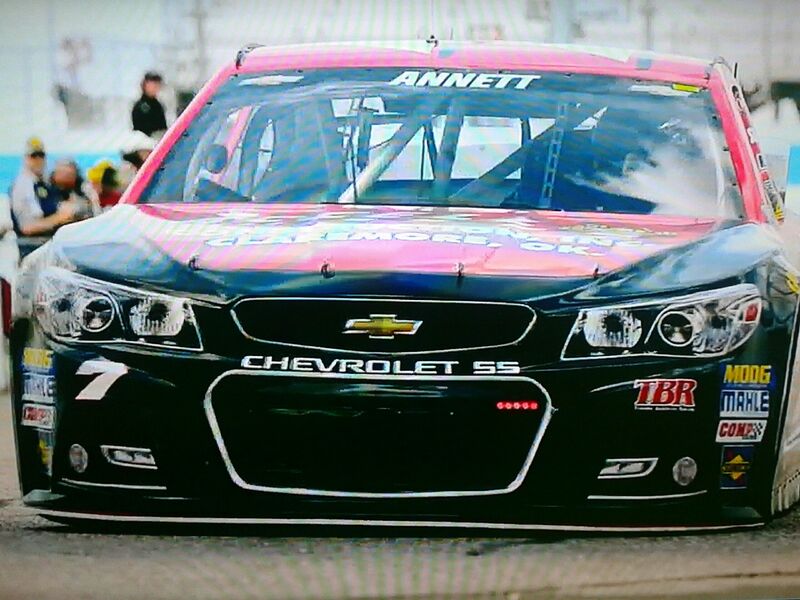 TBR will head back to the East Coast to race at Richmond International Raceway this weekend. 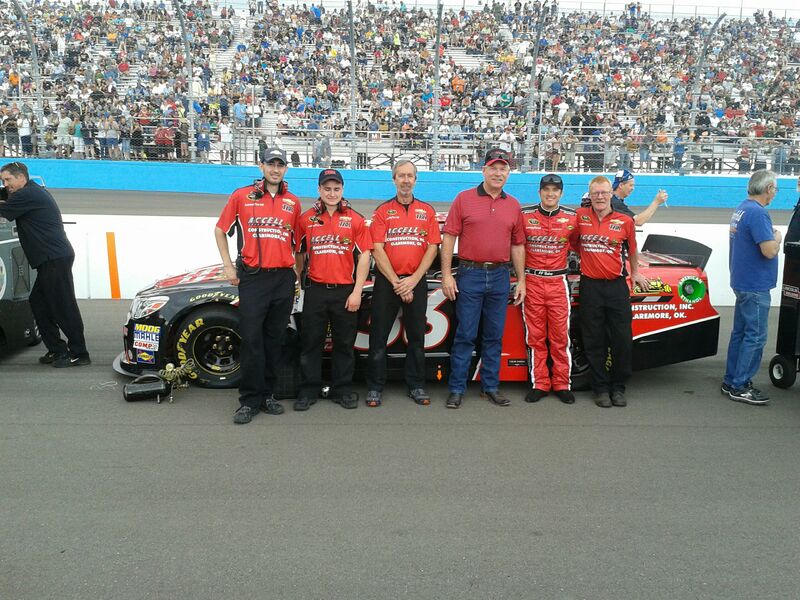 The team will compete with both Reutimann in the No. 10 and Blaney in the No. 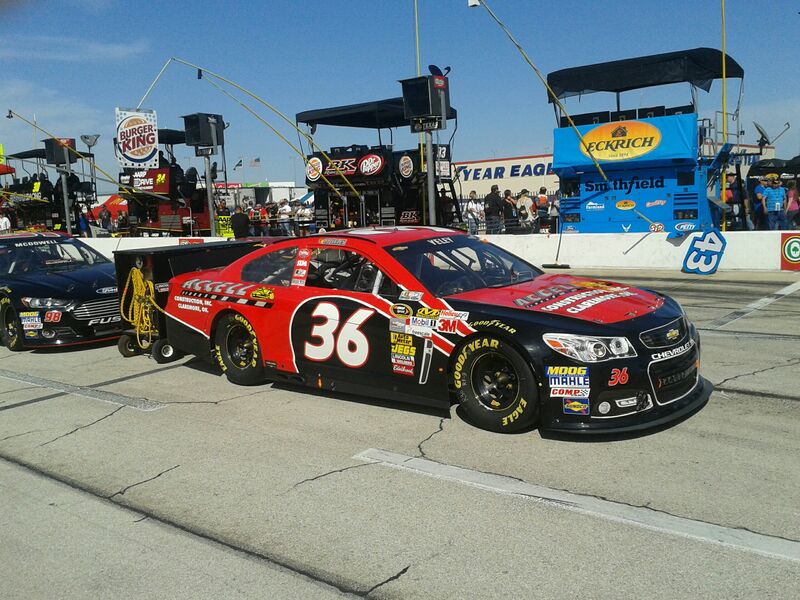 36 SealWrap Chevrolet in Saturday’s Primetime NSCS race. Ryan Blaney will make his debut with TBR and in the NASCAR Nationwide Series on Friday in the No. 36 SealWrap Chevrolet.